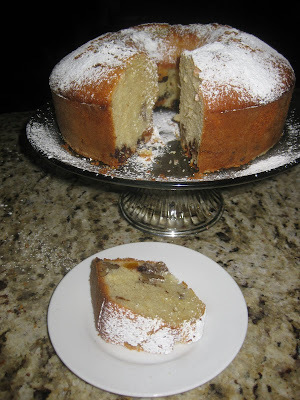 The recipe for this delicious sweet bread I got from my mom. She's been making it for us for years, at first for me and my brother, then for our children. It goes well with tea, coffee, or yogurt. You can have it at breakfast or for desert. STEP 1. 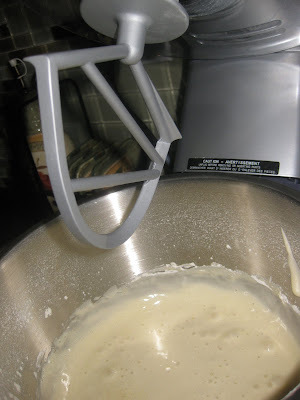 Using the whip attachment beat the eggs and the sugar, till the sugar resolves. STEP 2. 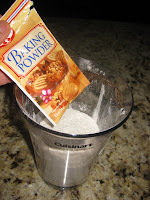 Add 1 cup of flower and mix it well.Change the whip with the paddle attachment, if you use stand mixer. 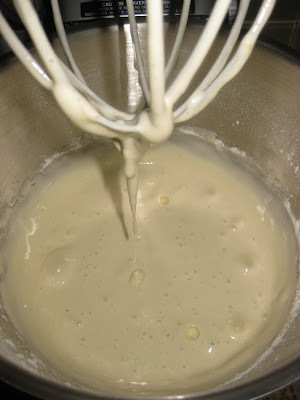 From this point till the end, my mom was mixing the rest of the ingredients into the batter using a fork. STEP 3. 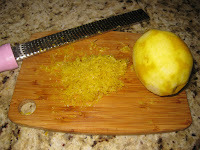 Add the oil, and the 2 cups flower with the baking powder and soda in them, the lemon zest and juice, and the water. STEP 4. Lightly oil and flower a baking pan. 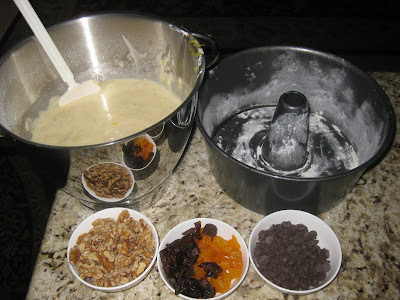 Mix the dry fruits ( I had plums and apricots), the walnuts, and the chocolate chips into the batter. The options here are quite a lot. You can add cocoa to the batter, or another type of nuts. You can put the walnuts on the top. STEP 5. Preheat the oven to 380F and bake for 40-45 minutes. STEP 6. Check if the bread is baked using a tooth pick. You should not see any moistured batter on the tooth pick. Cool off the cake on wire rack for an hour. STEP 7. Slice and eat :). The fruits and the nuts are heavy and they form a delicious crust on the bottom. How can I get my "paws" on this??? Yes, it is :) You have the recipe now, just bake it. It does not take long to make it. I don't have this baking mold - can i halve the recipe and use a loaf pan instead? Of course, you can. You'll need two loaf pans. this keks looks very delicious! "My Mother's Sweet Walnut Bread" reminded me of my grandmother's fruit cake, which she made once a year, around Christmas. 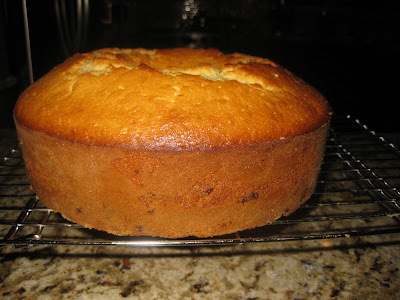 Only homemade fruit/nut cakes have fruits that sink to the bottom. If you want the fruits and nuts to distribute evenly, you have to roll them in flour before adding them to the batter. I learned that tip from some cooking show or blog, and I wished my grandmother was alive so I could tell her. I loved the gathering of fruits and nuts at the bottom, but my grandmother lamented it." 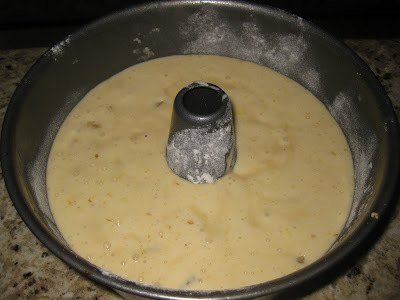 Here is an other tip: instead of mixing the fruits and the nuts with the batter, put them on top and only slitely cover with batter. They will spred all around the body of the cake.